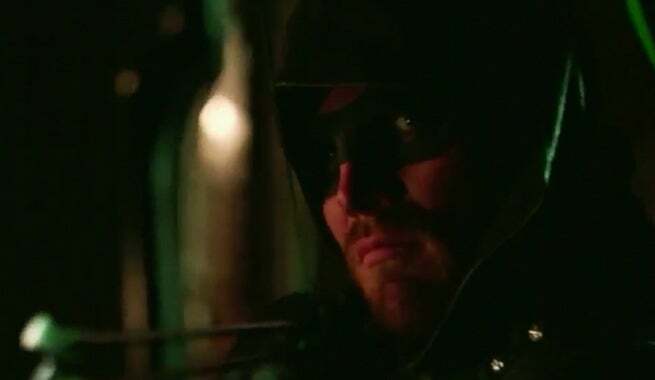 The CW has released a new promo video for Arrow season 4, continuing the "Aim higher" campaign for the series. The trailer first appeared at the end of the Vixen season finale. The new teaser trailer shows a rapid-fire sequence of events in the newly rechristened Star City, with the Green Arrow and his compatriots all getting a feature shot or three. That includes Diggle in his new helmet, which in the trailer includes a visor over the cut-away hole that makes it look more high-tech motorcycle helmet and less Magneto-rip-off, plus quick shots of Black Canary and Speedy. The most ominous part of the trailer, though, is voiceover that includes "the monster you were inspired monsters," and "I suggest you say goodbye." Check out the new promo above, and check out Arrow season 4, premiering Wednesday, October 7, 2015 on The CW.